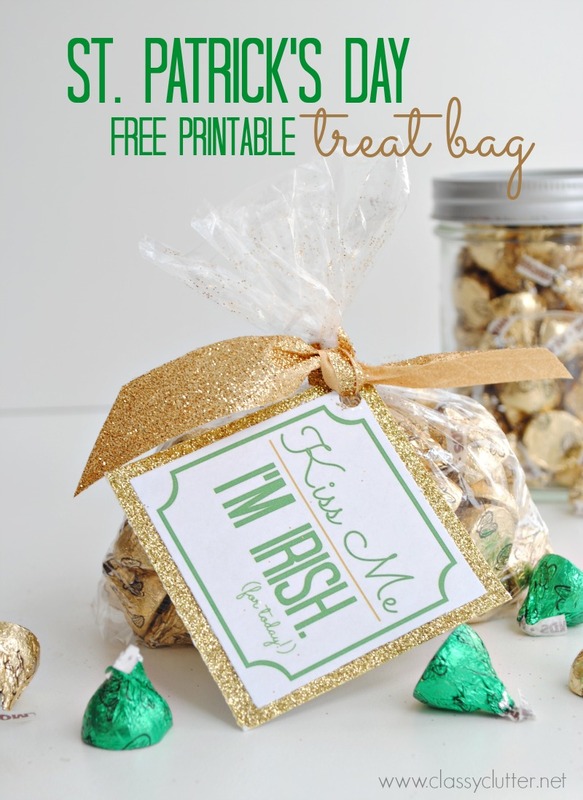 I don’t normally give out gifts for St. Patrick’s Day but I think this could be the cutest gift for a teacher or friend who needs a “pick me up” around this time of year. This time of year is rough for me sometimes because honestly, I am so over the winter at this point. We are still fiddling around with 8, 10, 20 degree temperatures and I’m over it. The winter blues can be in full swing for some at this time. Even if you’ve beat the blues, who wouldn’t LOVE a bag or a jar of kisses!? This would be also be so cute to stick in hubby’s car as a surprise on St. Patrick’s Day too! 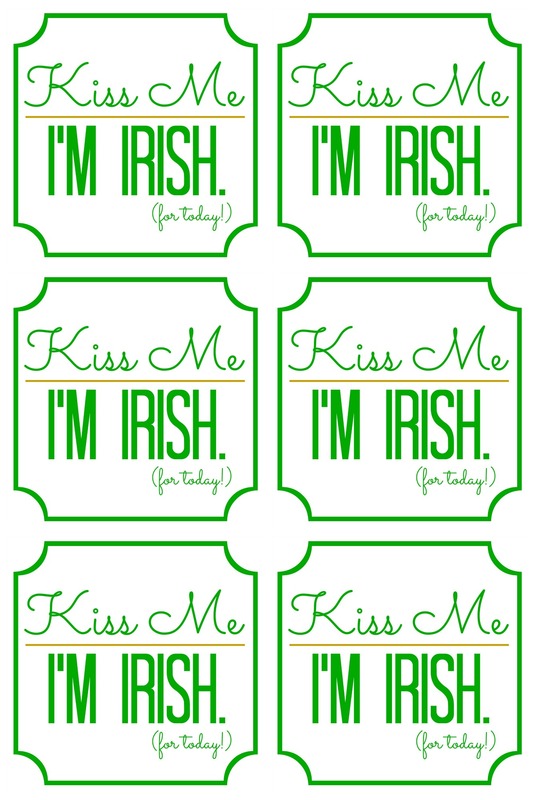 I’m not Irish so I made two versions of this cute little printable to attach to your little gift. 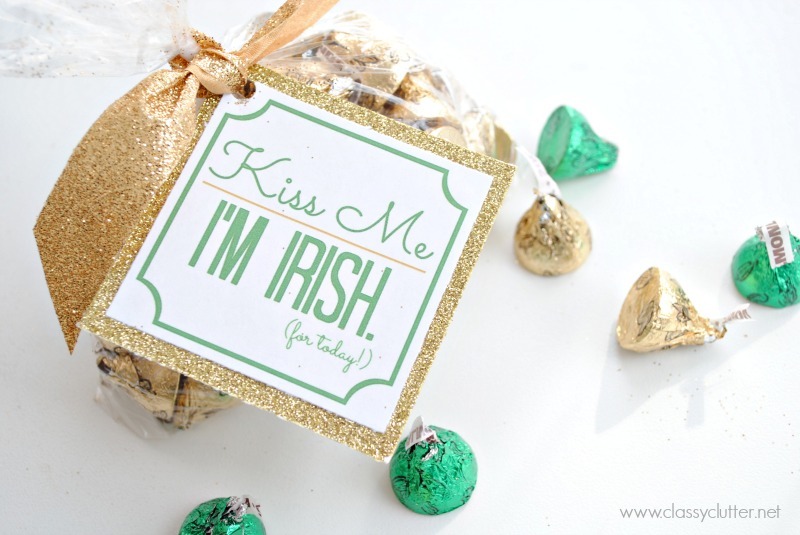 All you need to do is fill a bag or a small jar full of almond kisses (because they’re gold!) and add the cute tag. So cute and easy! Right click and save or download here. Have an awesome day! If you liked this post, please Pin it or share it with your friends! 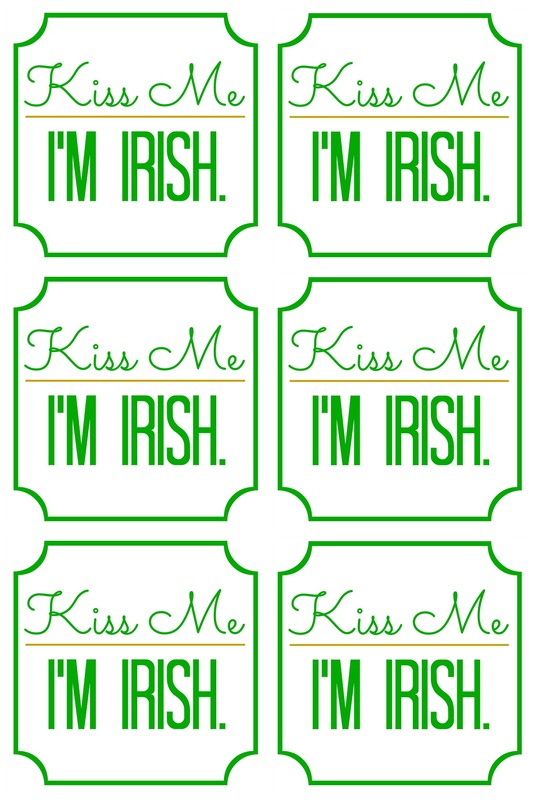 Just wanted to let you know I am sharing your wonderful post tomorrow in my “100 Something Green St. Patricks Day RoundUp” http://wp.me/p466oG-11f with a link back to your original post plus pinned to my St. Patricks Day Board! Have a terrific weekend!